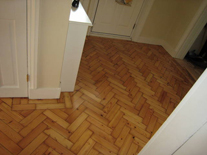 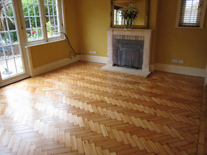 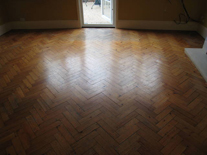 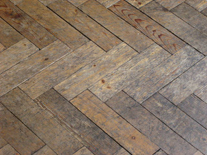 Restored Pine Woodblock in Herringbone Design. 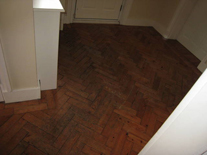 Cleaned and re-laid loose blocks. 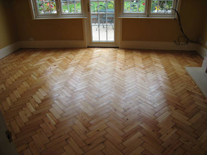 Sanded, filled and finished with Bonakemi Traffic Polyurethane Lacquer.